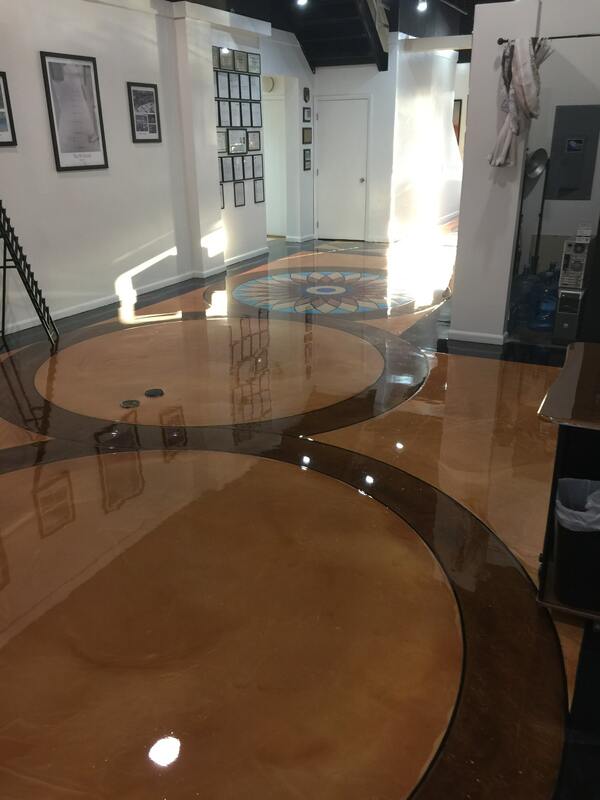 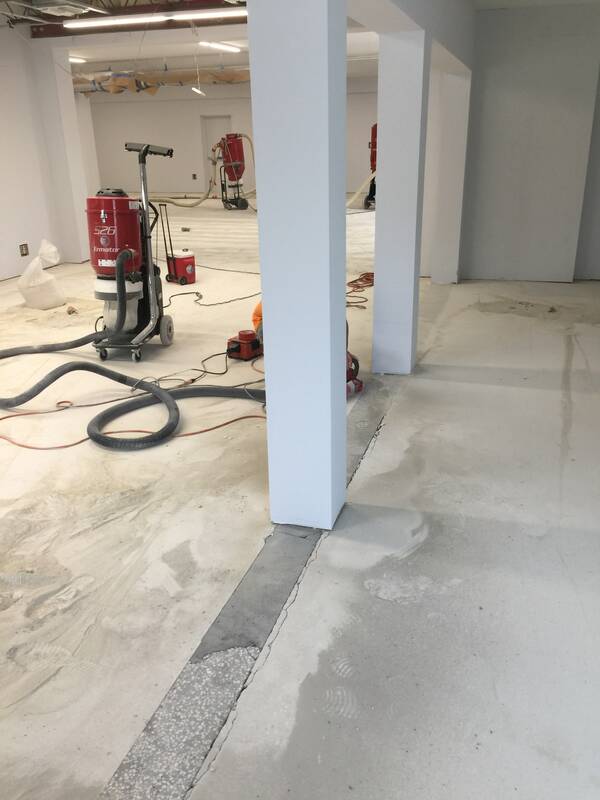 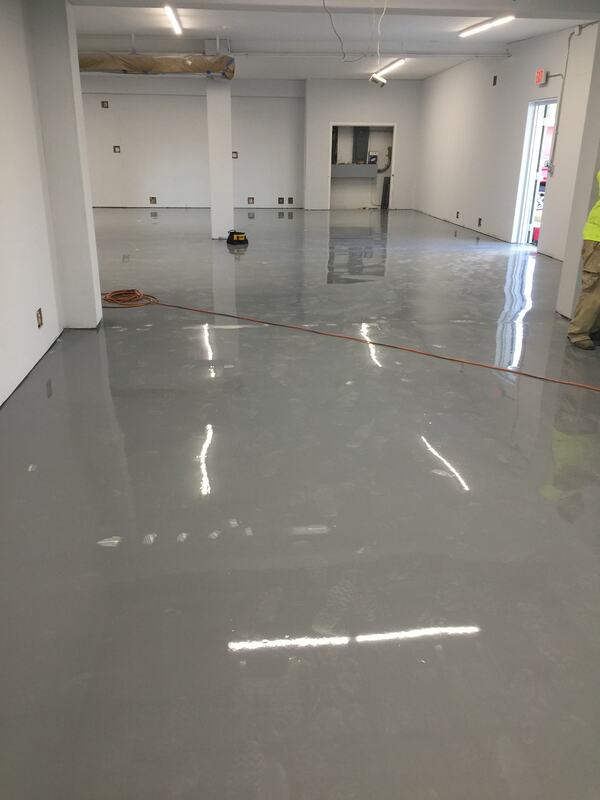 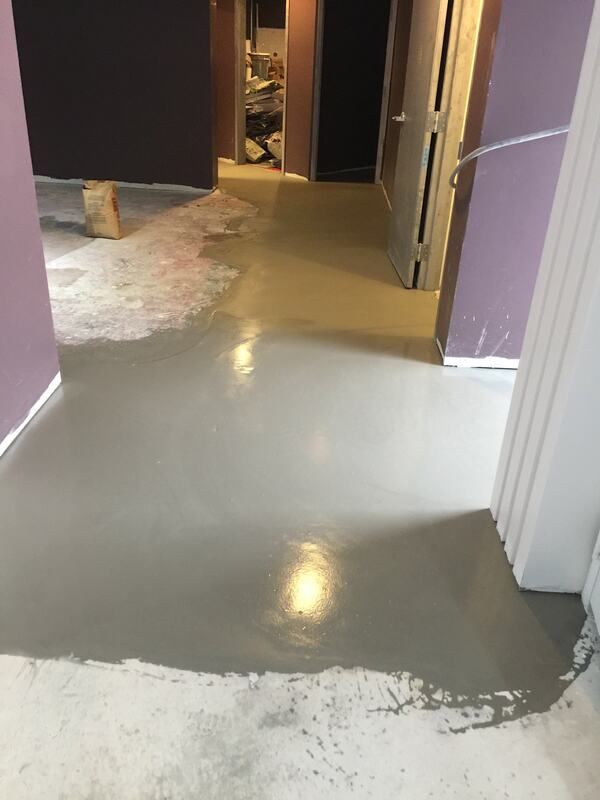 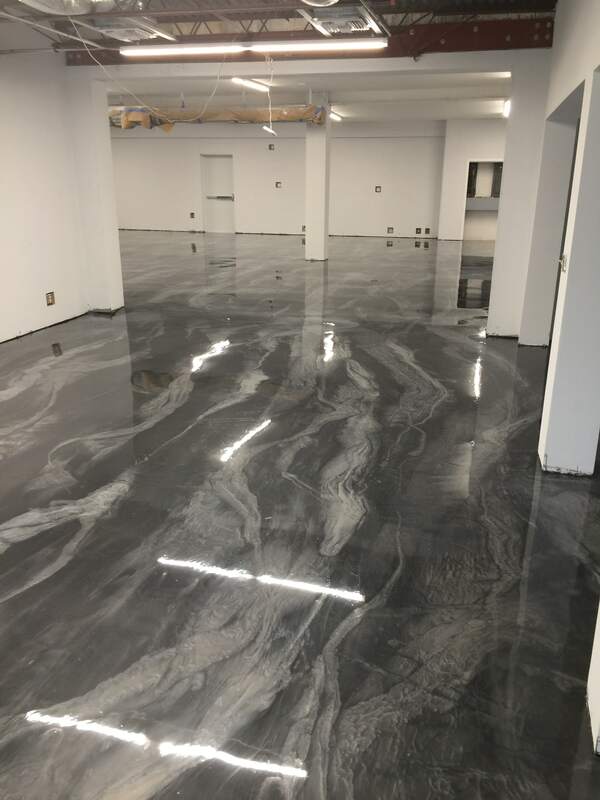 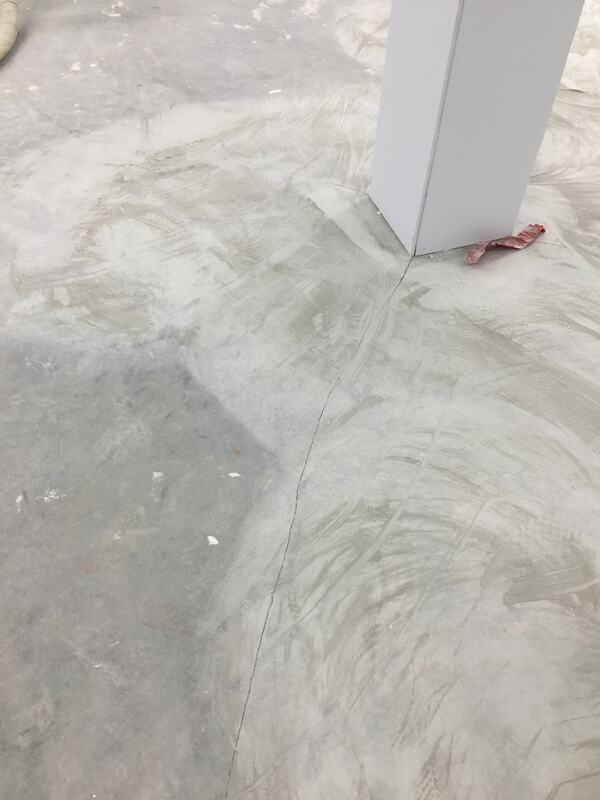 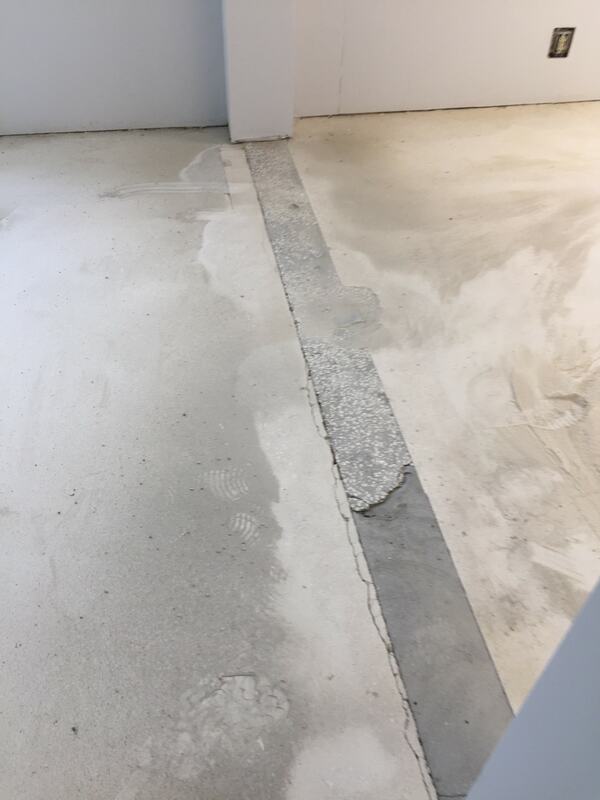 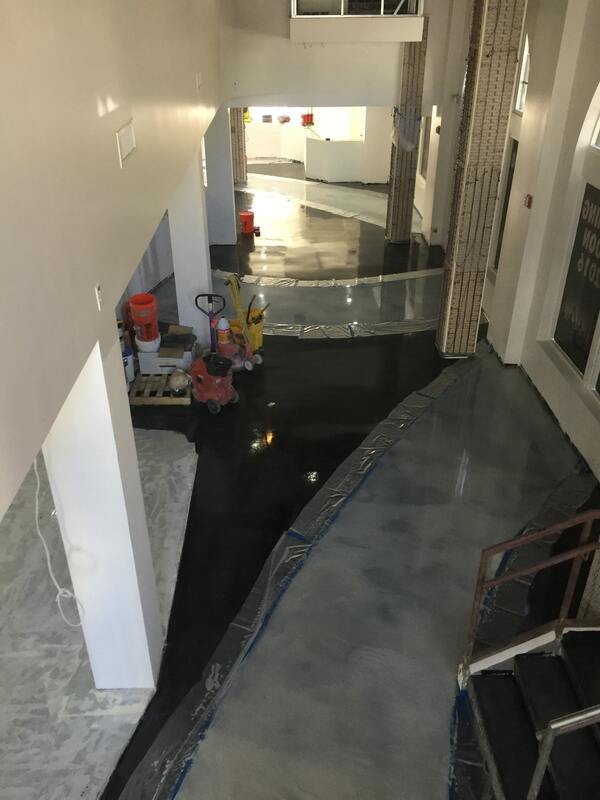 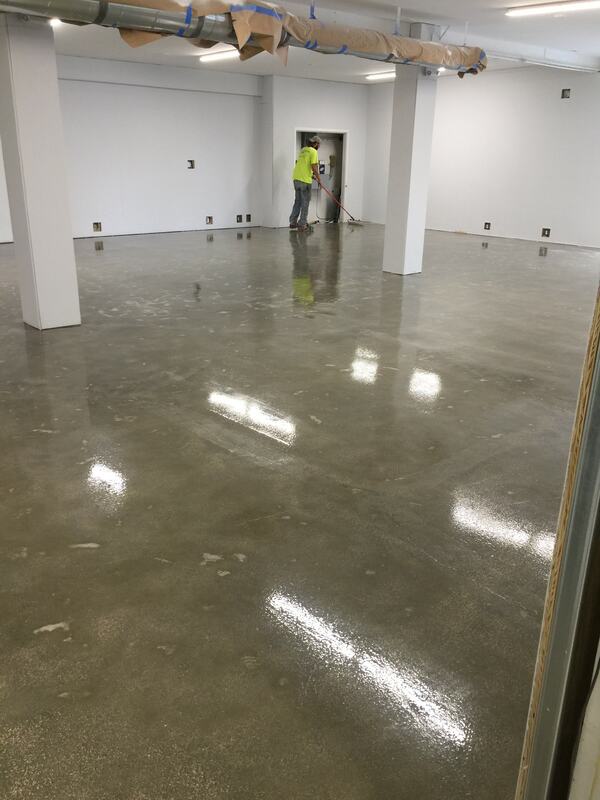 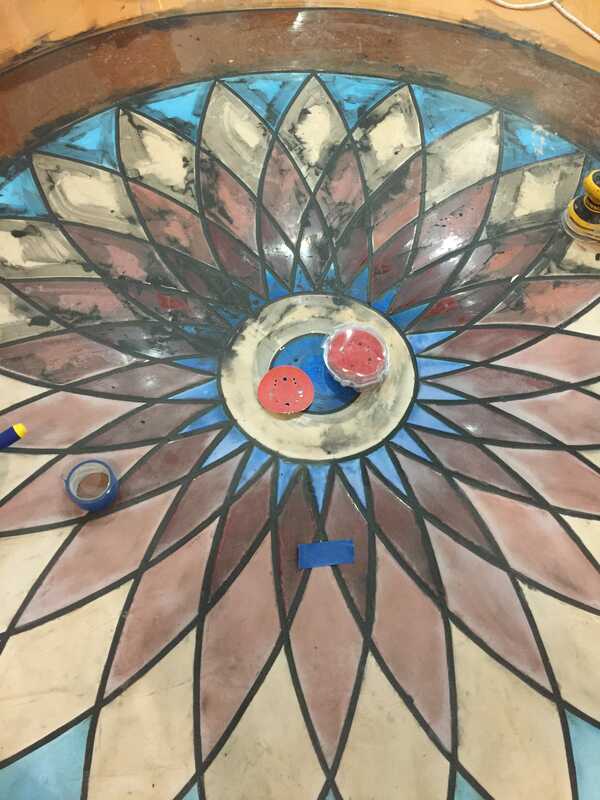 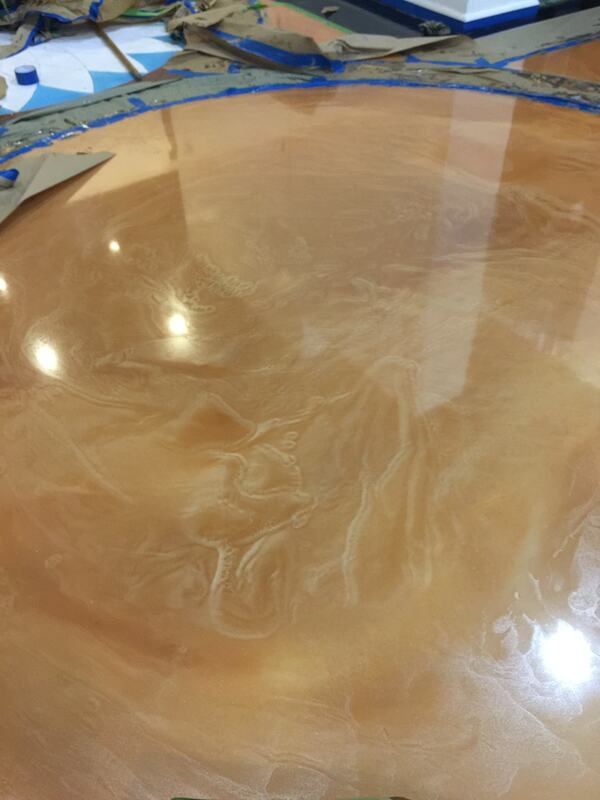 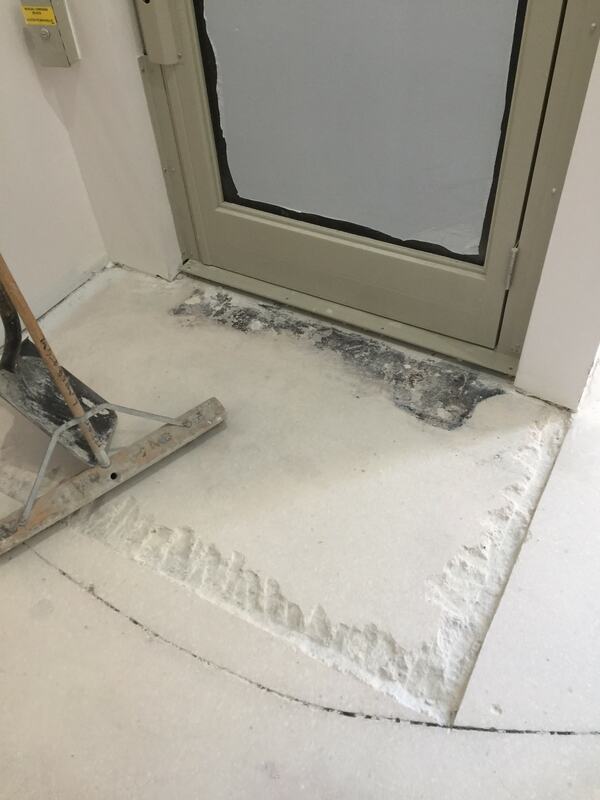 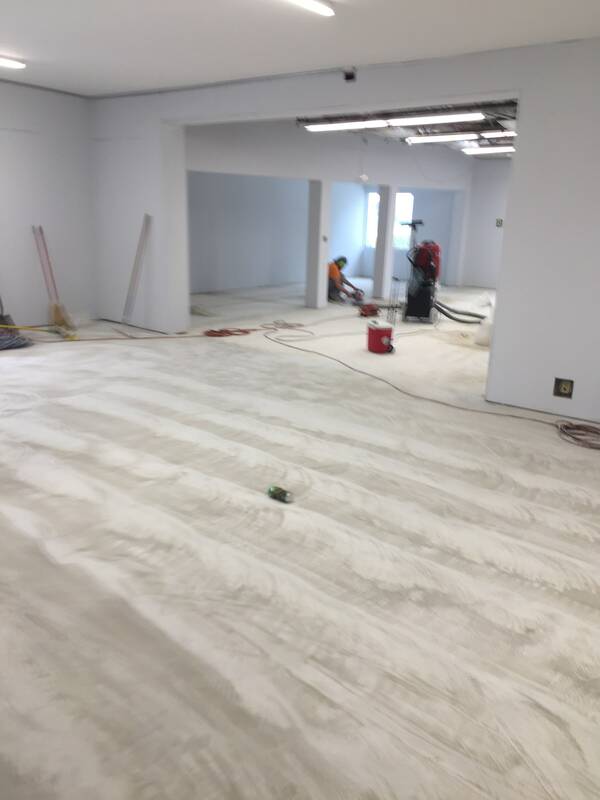 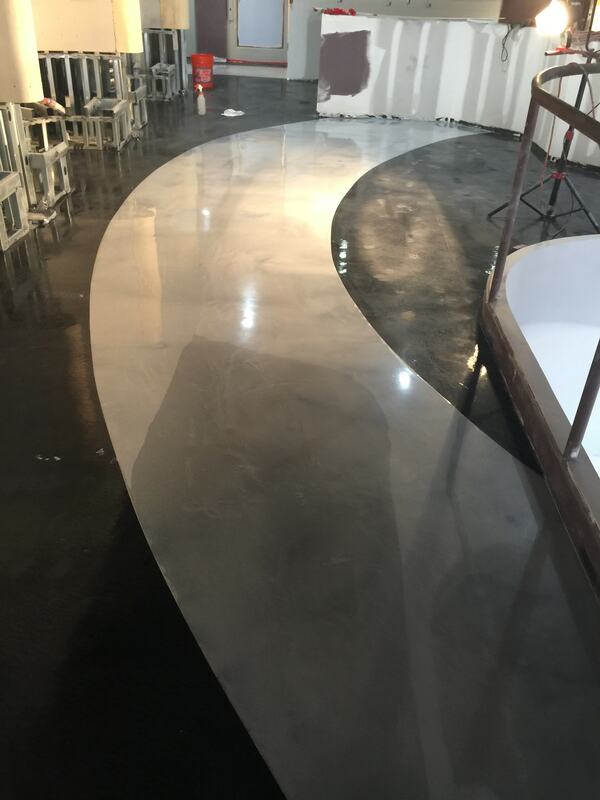 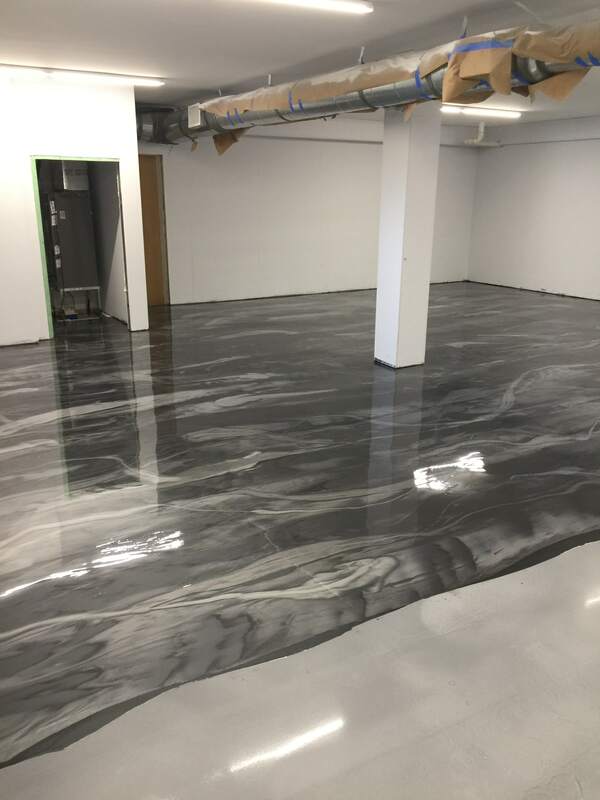 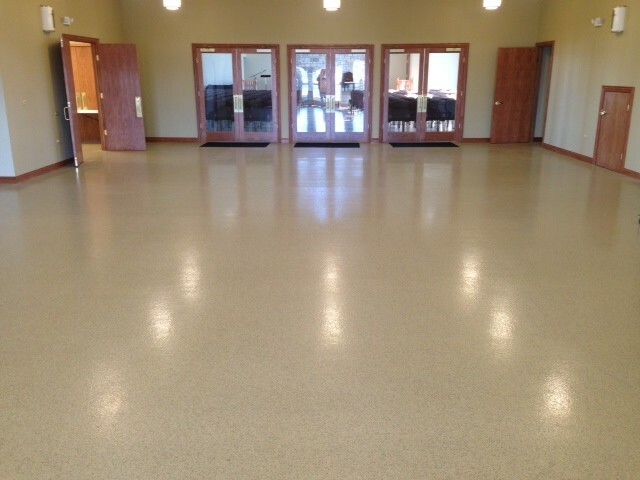 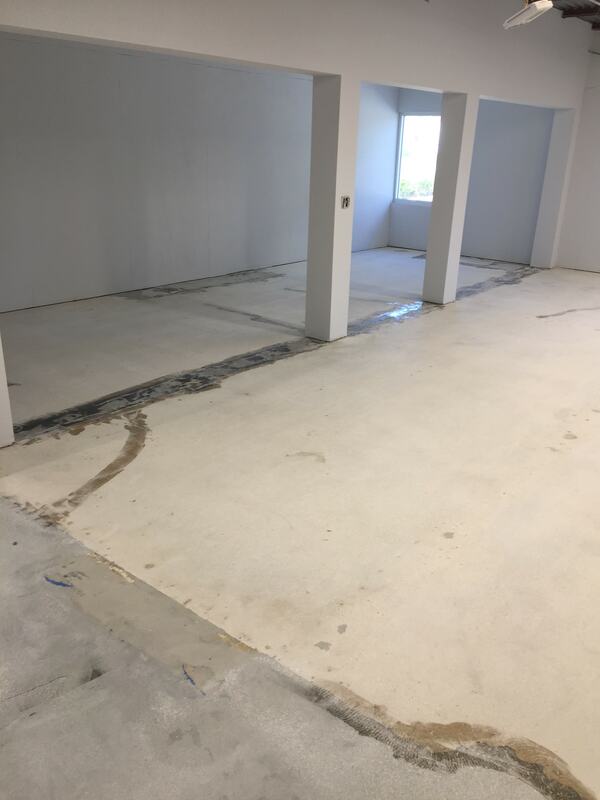 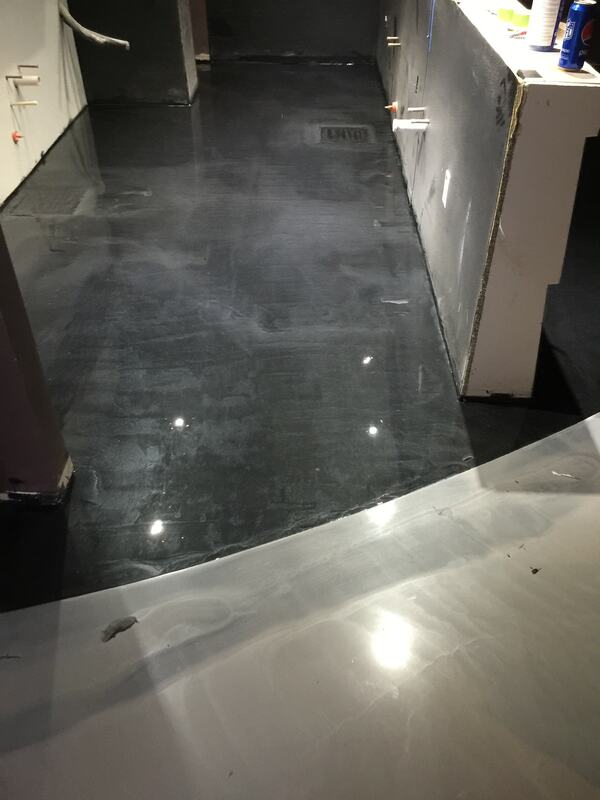 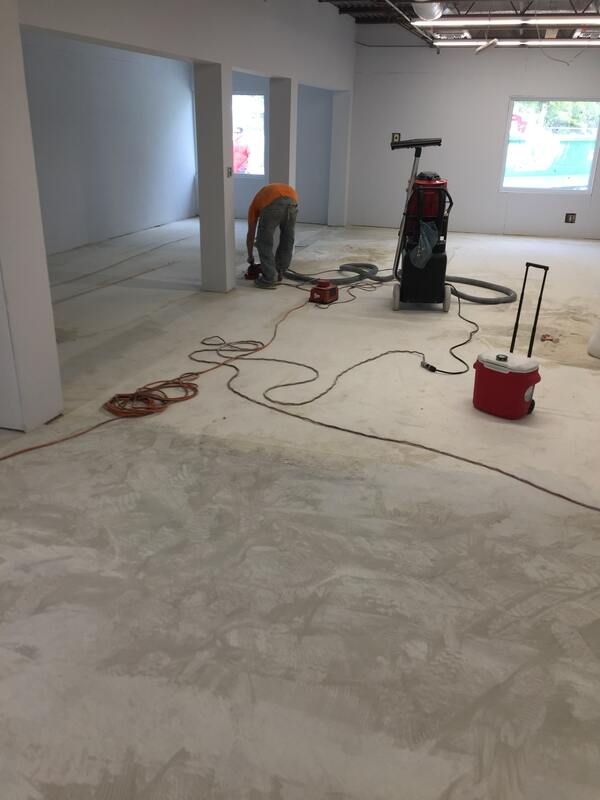 One of our customers in Florida, Artistic Surfaces, is a prime example for how important it is properly prep your concrete before putting down a coating – whether it be an epoxy, overlay, etc. 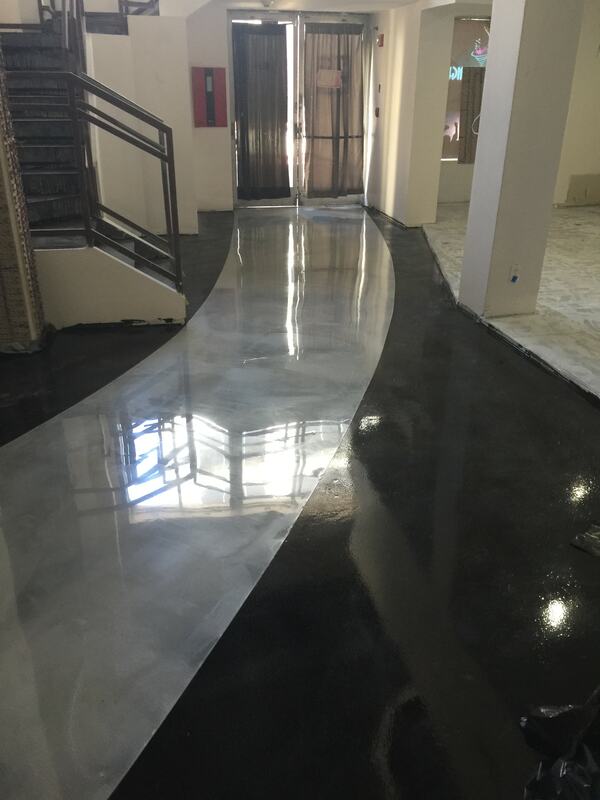 Below are four different epoxy jobs that their crew completed recently, courtesy of Sam Godbey, the Director of Operations at Artistic. 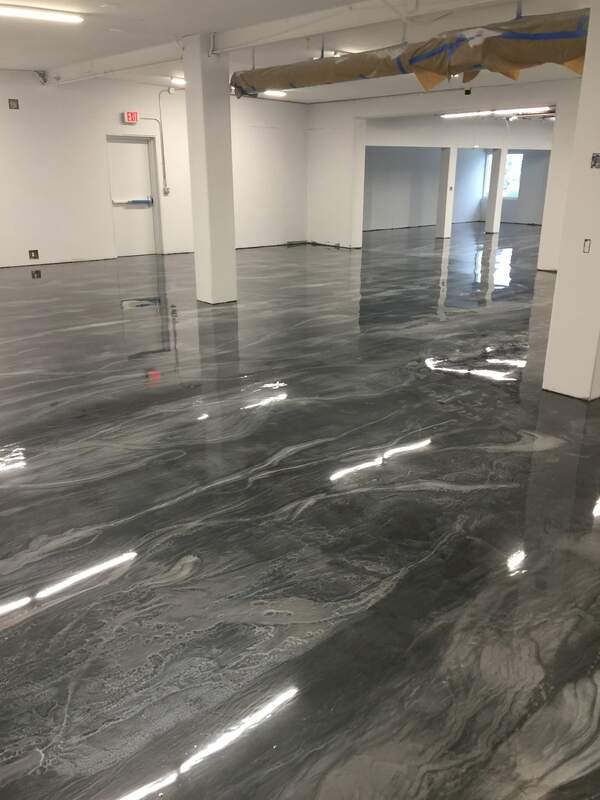 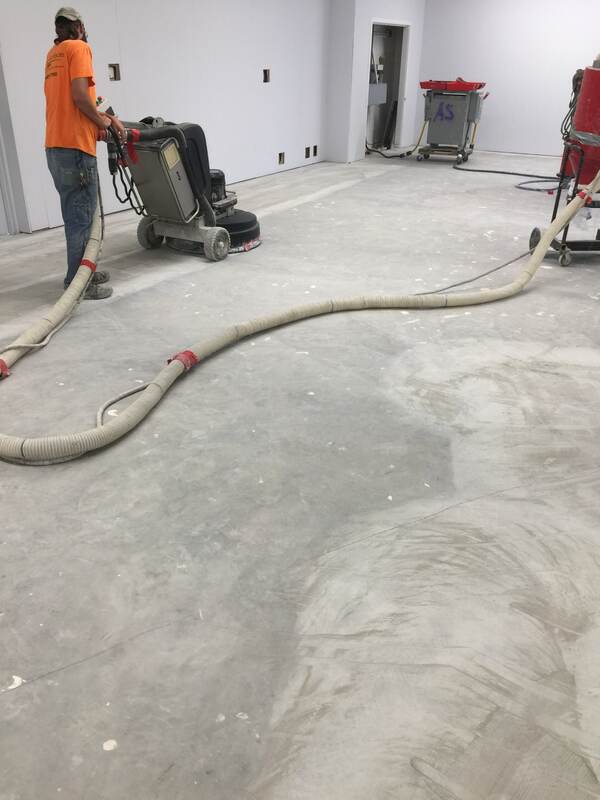 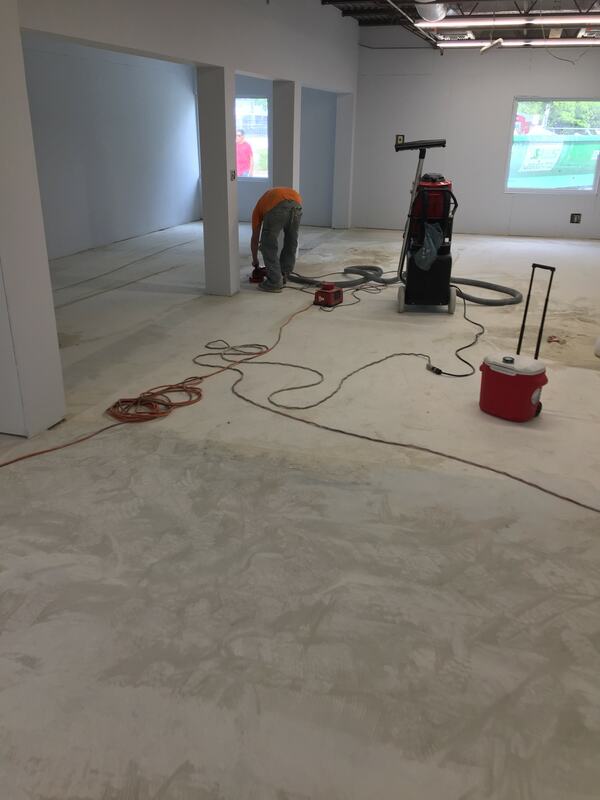 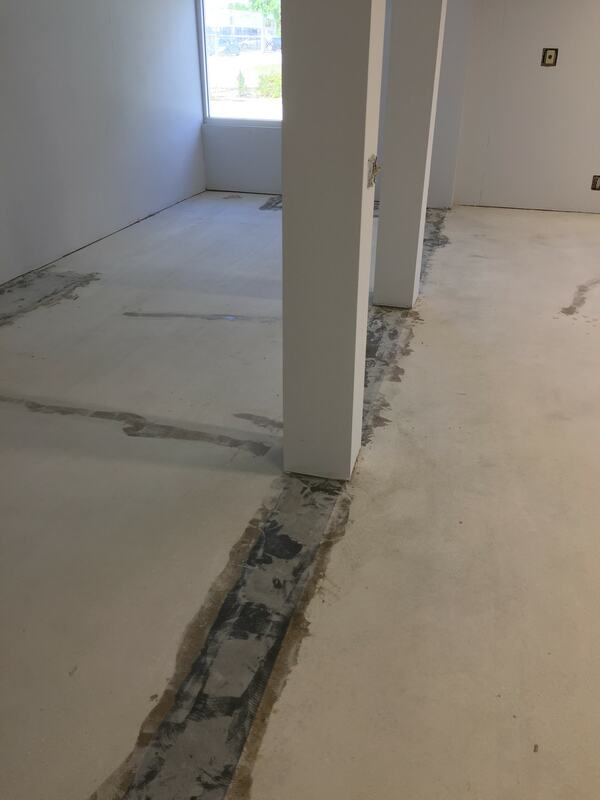 The pictures don’t do them complete justice, but it is very evident surface preparation played a major role, and we were happy to have a part in that. 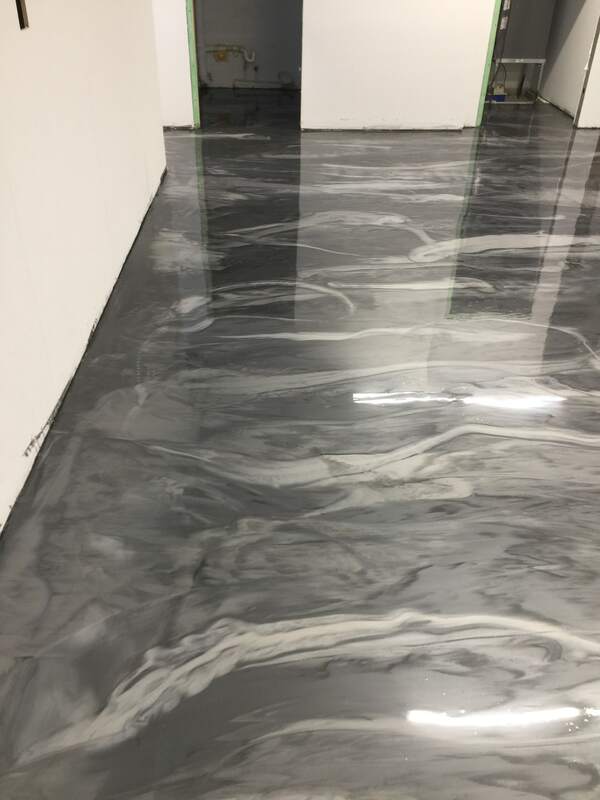 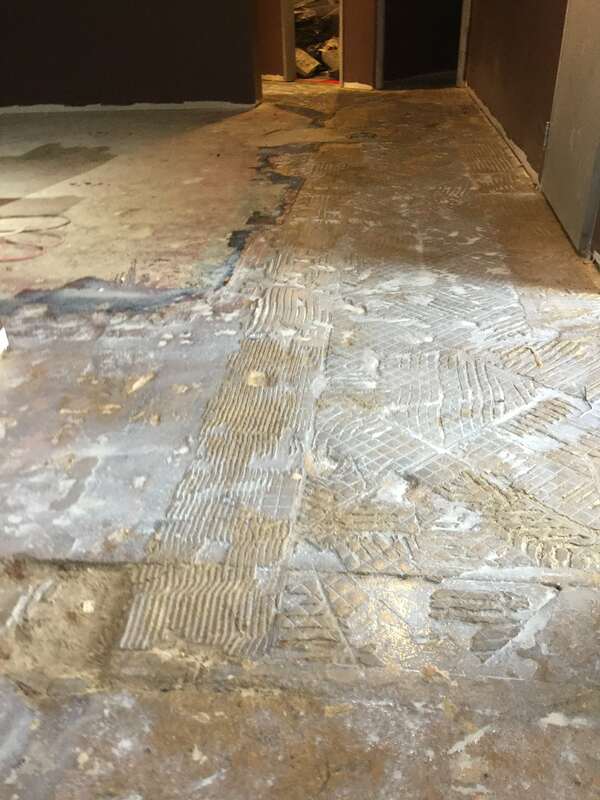 This 3,600 square foot charcoal floor is owned by a high profile client. 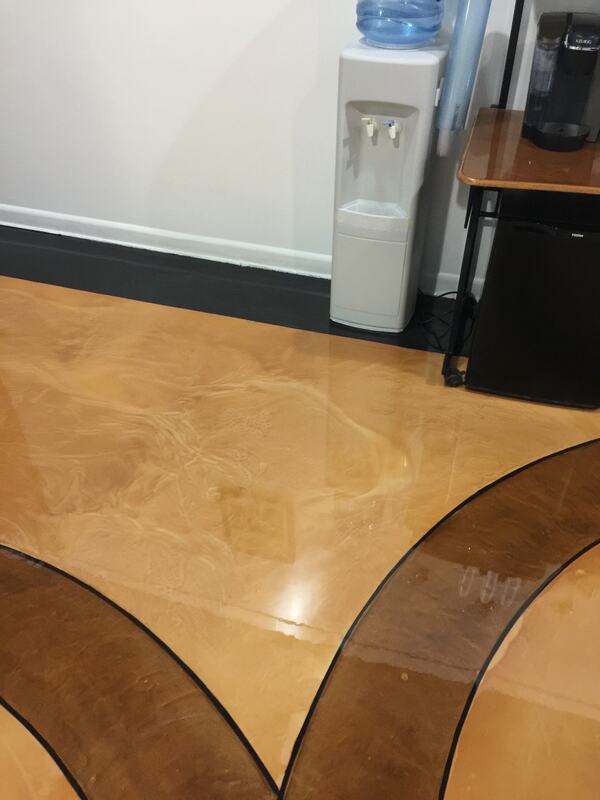 It’s a private residence, used to store the owner’s cars, sports memorabilia, and other appropriately coined “toys”. 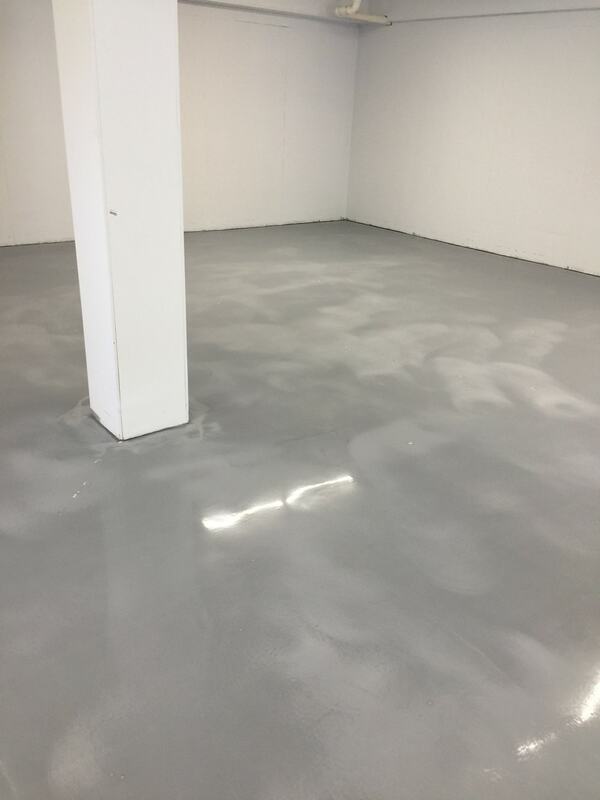 Artistic prepped the surface with an HTC 800, Ermator T8600 and 25 grit HTC diamonds. 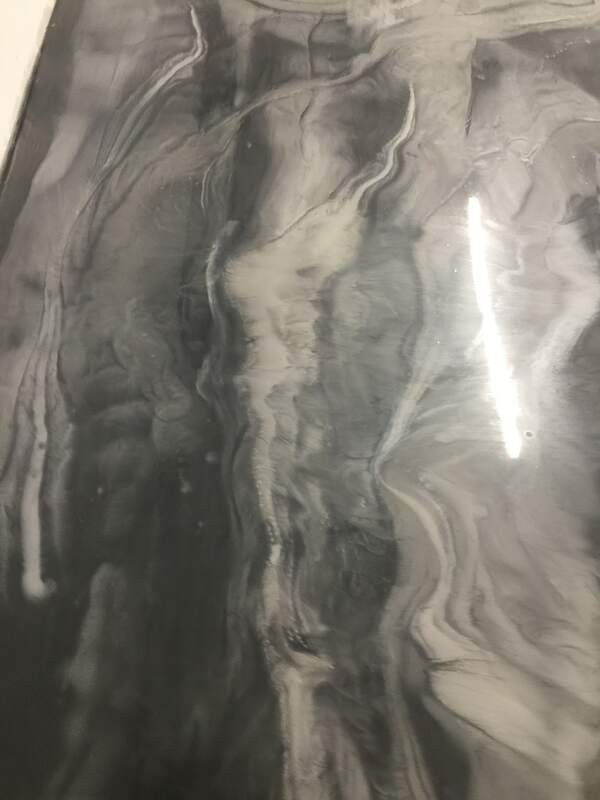 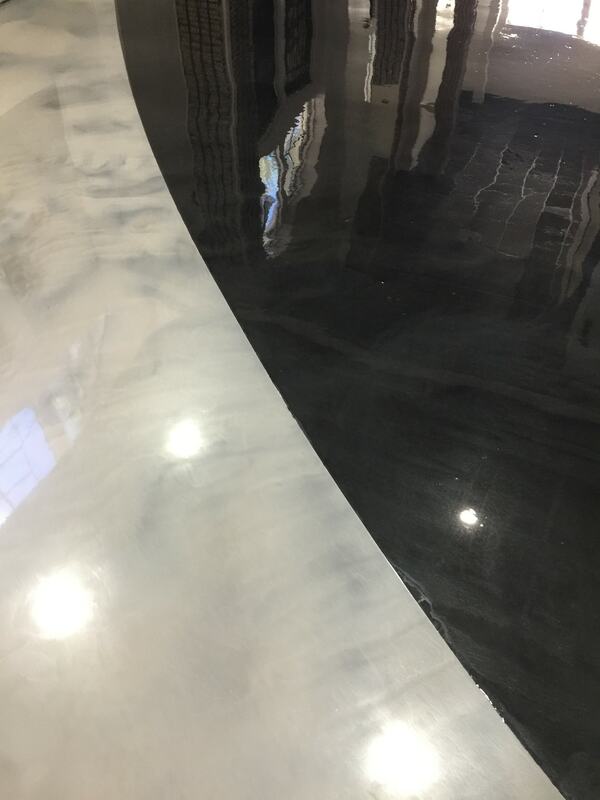 This is a grey epoxy with a combo of Sterling, Onyx and Quick Silver metallic pigments. 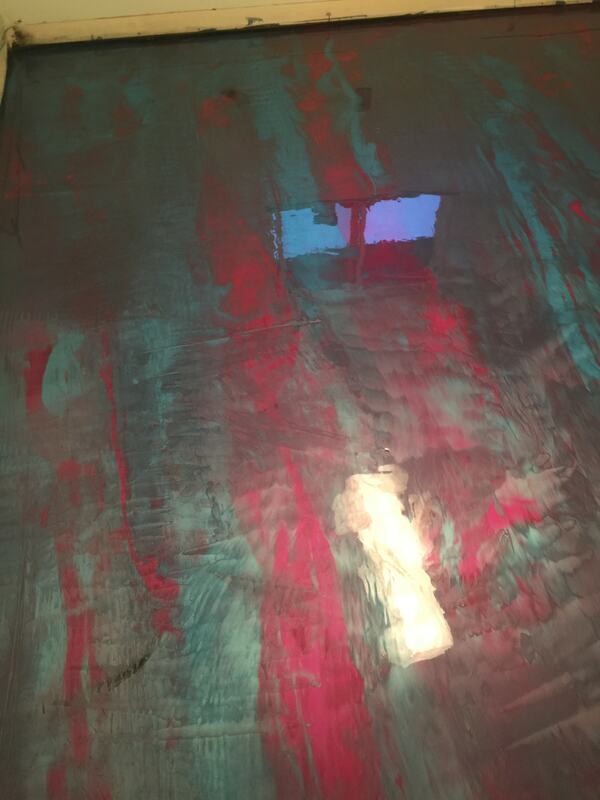 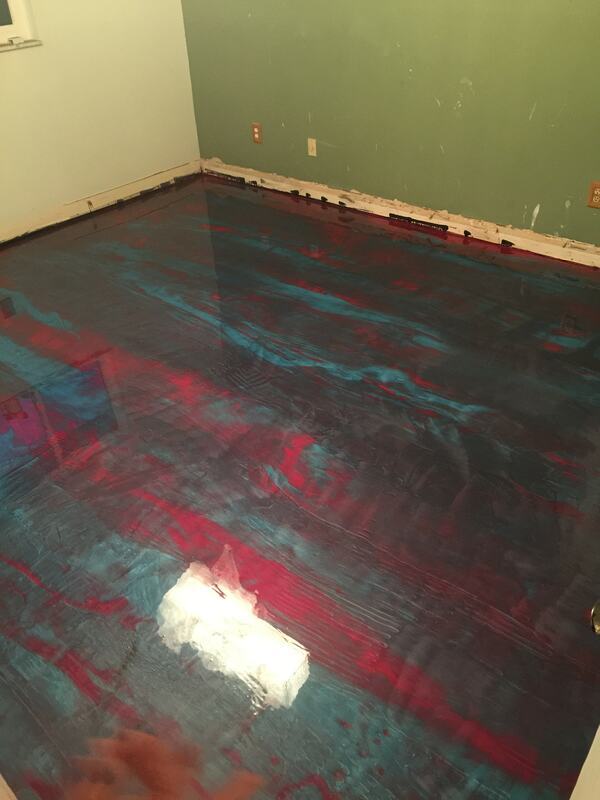 This blue and pink metallic floor looks like cotton candy. 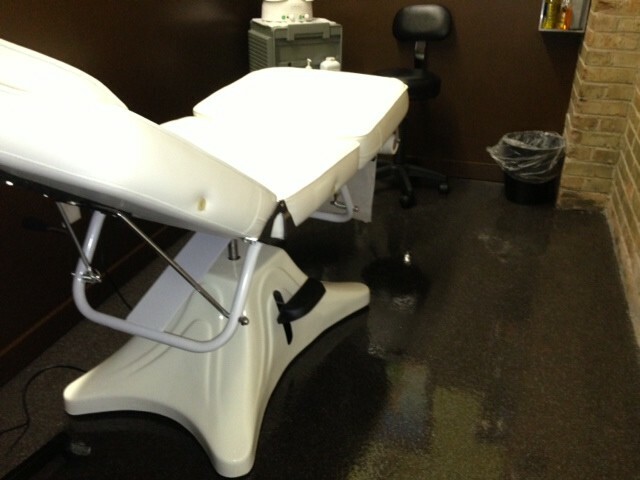 It is located in a residential dressing room. 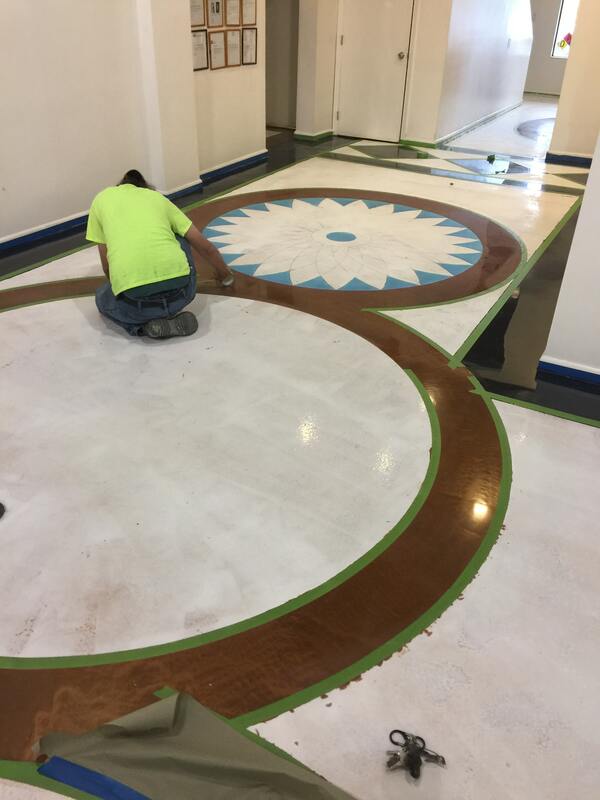 Artistic partnered with Coastal Construction for this job. 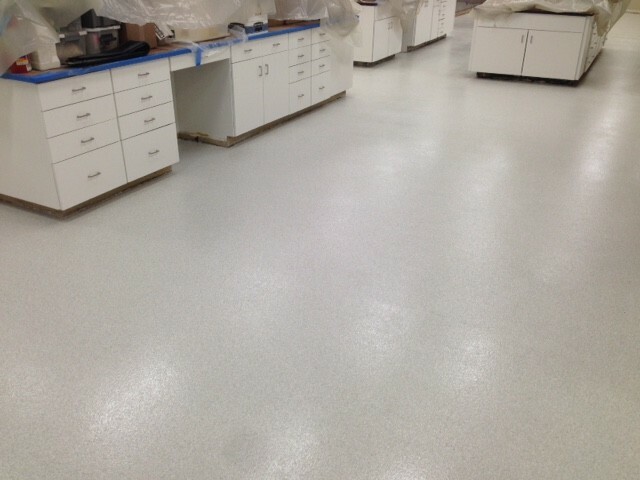 They prepped the surface with an HTC 500 and 25 grit HTC diamonds. 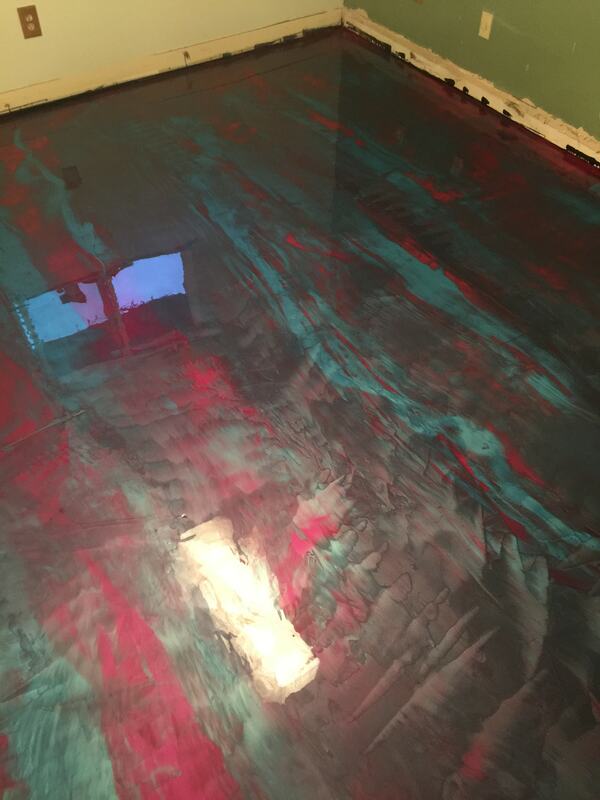 It’s an epoxy with black pigment base and metallic pigment colors Surfs Up and Merlot. 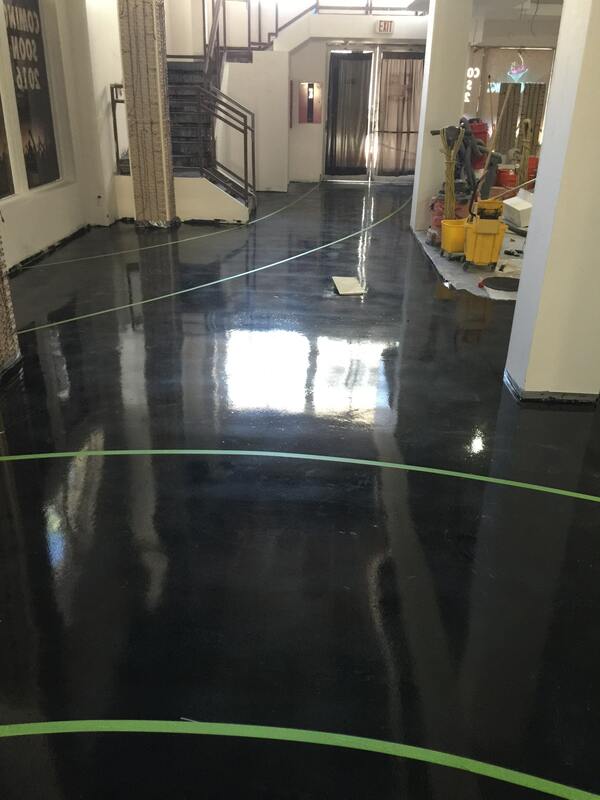 This black and aluminum striped floor is located in a 5,500 square foot bar called the Escape Lounge. 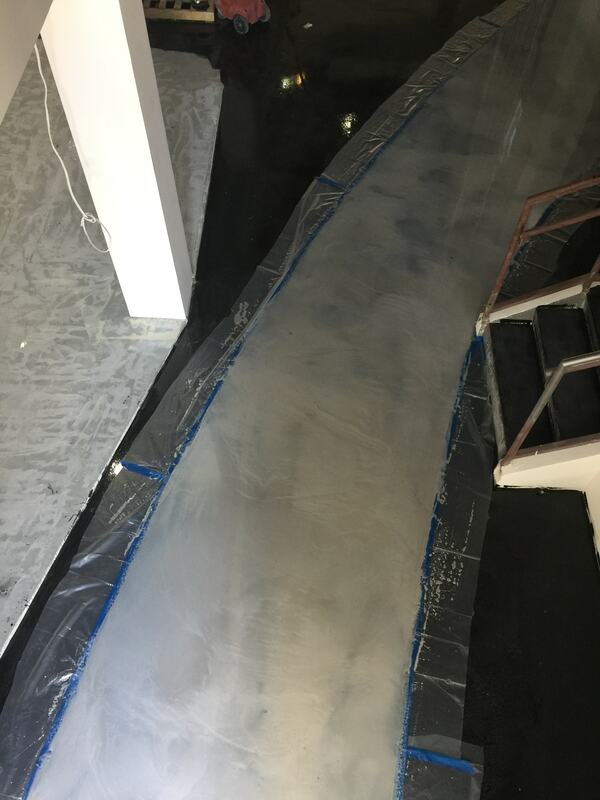 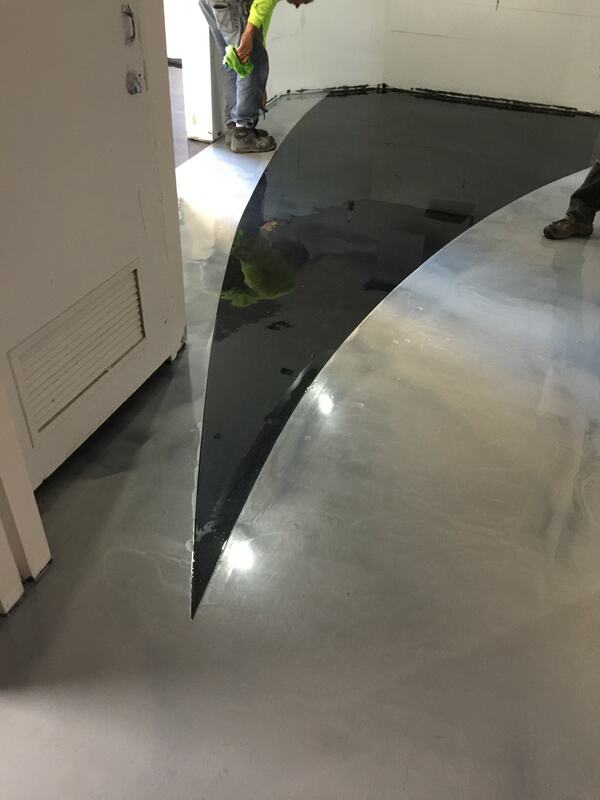 The epoxy was poured with a black base and then the aisles were taped out in a curved design and colored with Aluminum metallic. 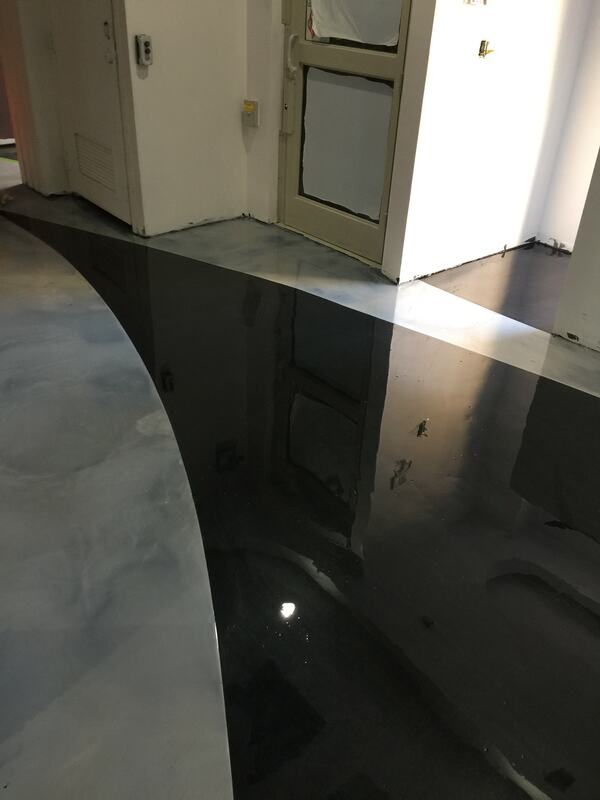 An HTC 800 and 25 grit diamonds were used to prep the surface. 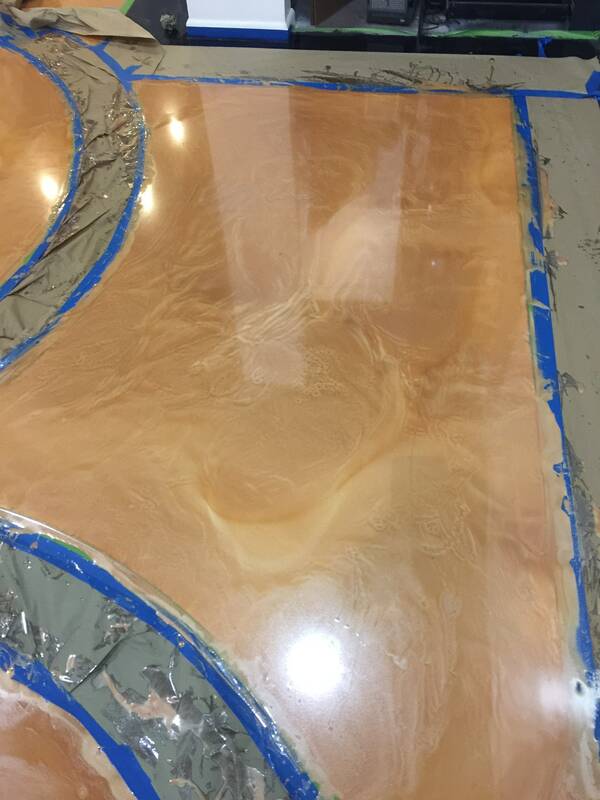 Artistic also used CTS Rapid Set TRU self-leveling overlay in the back of the bar. 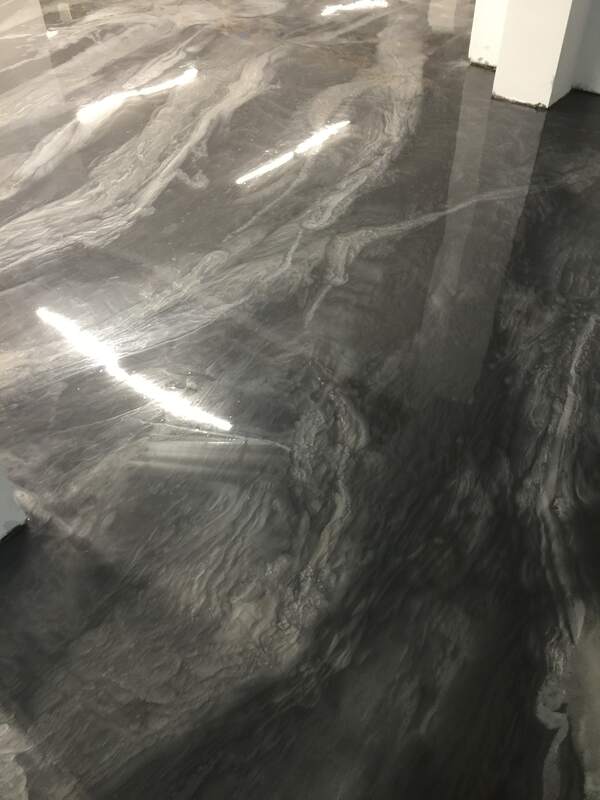 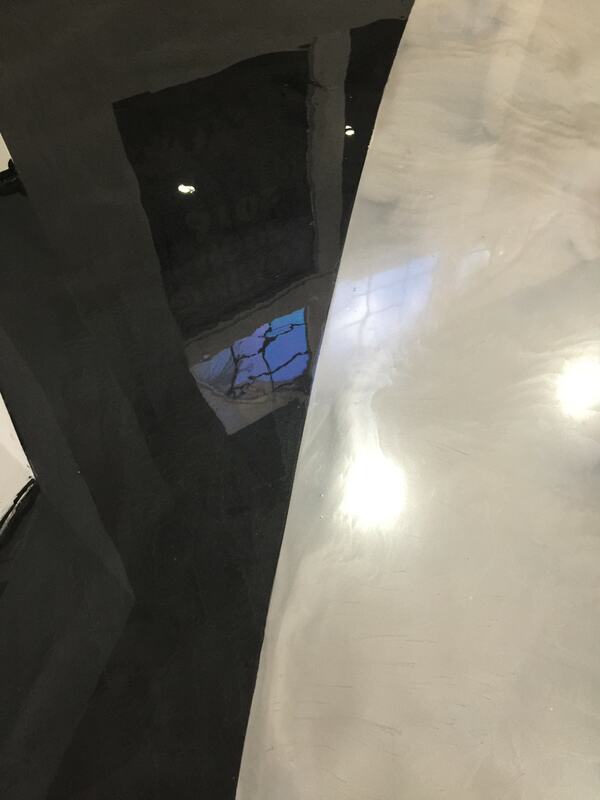 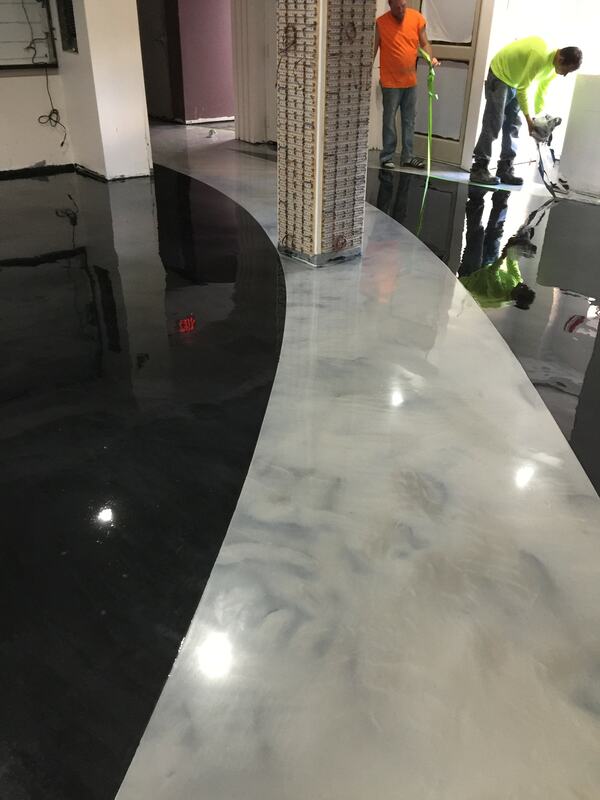 The black portion of the epoxy floor was pigmented with Jet Black metallic and the stripes were pigmented with Aluminum metallic. 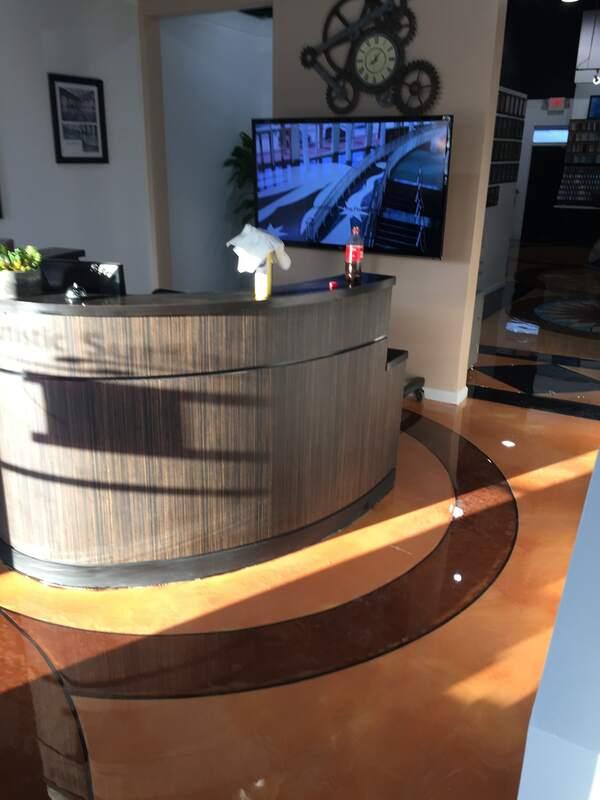 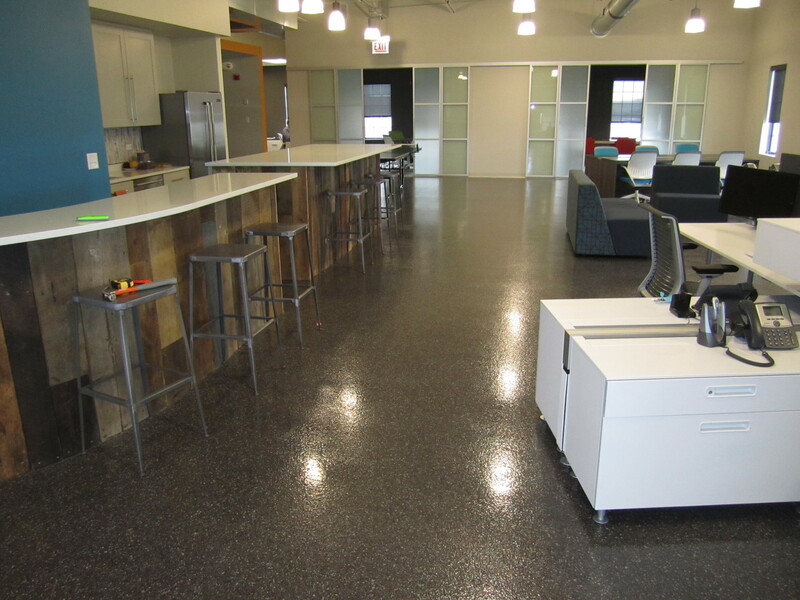 Artistic recently re-did their 1,300 square foot office floor. 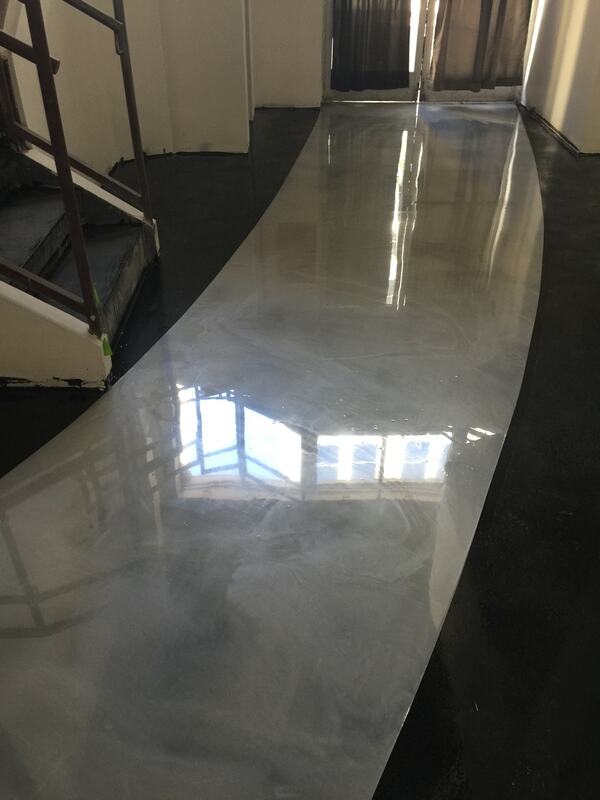 They cut off the old white overlay and transitioned it to an epoxy metallic floor. 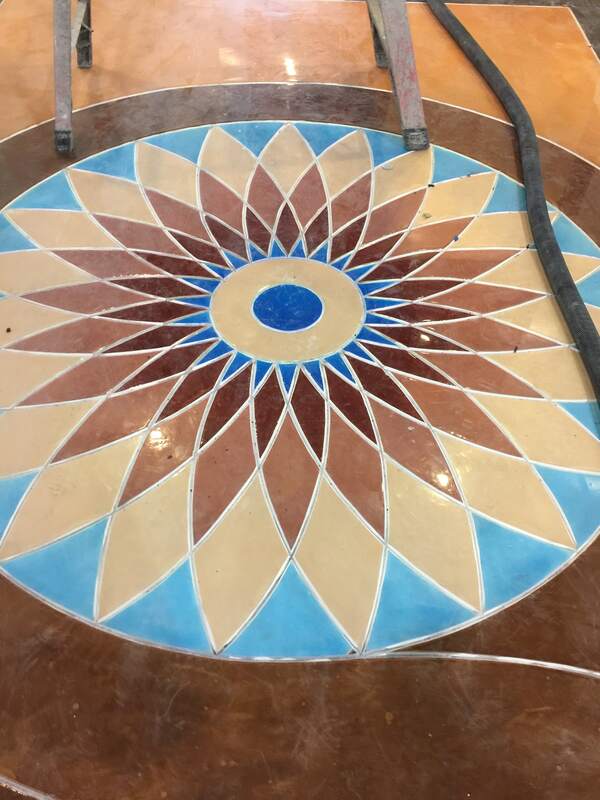 They kept the same detailed saw-cut design work. 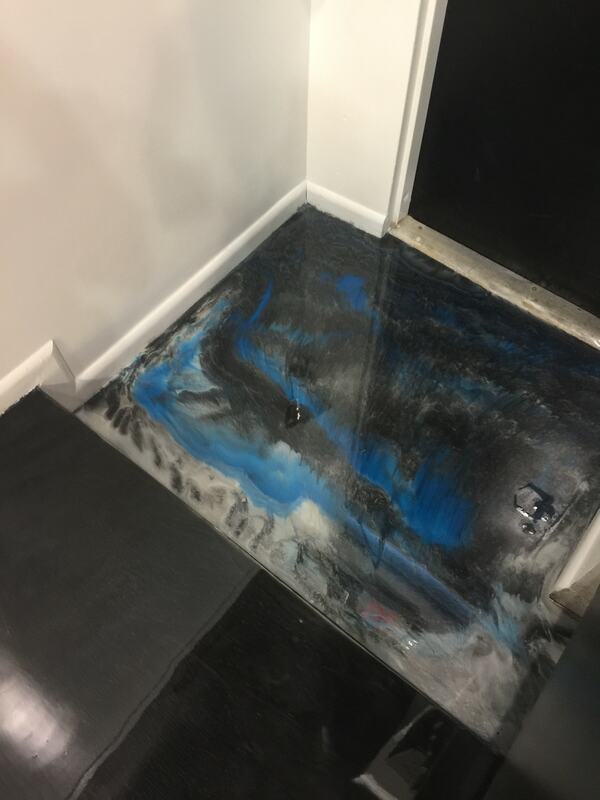 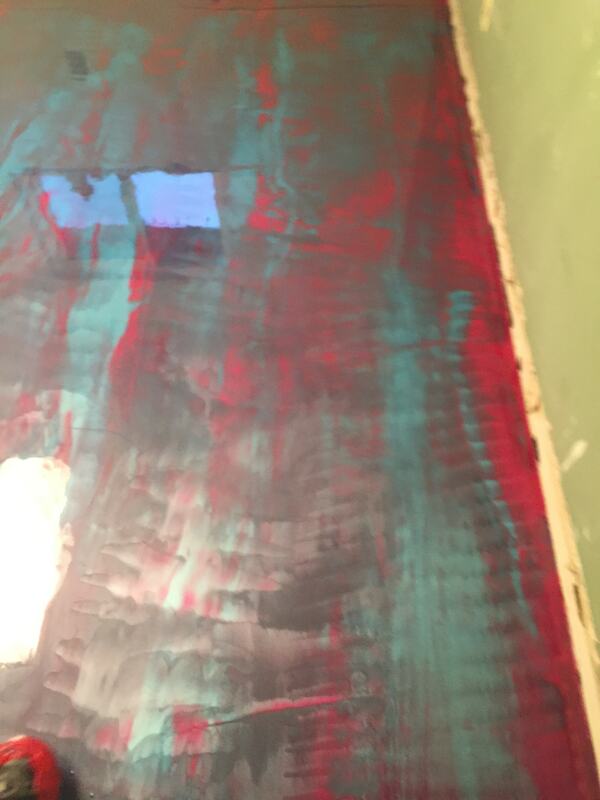 To prep the surface, Artistic used a 60 grit screen and floor buffer. 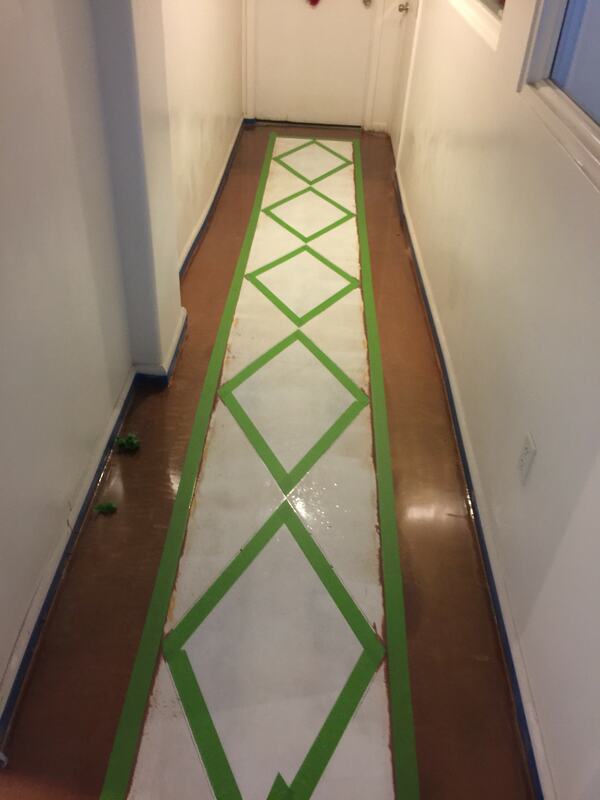 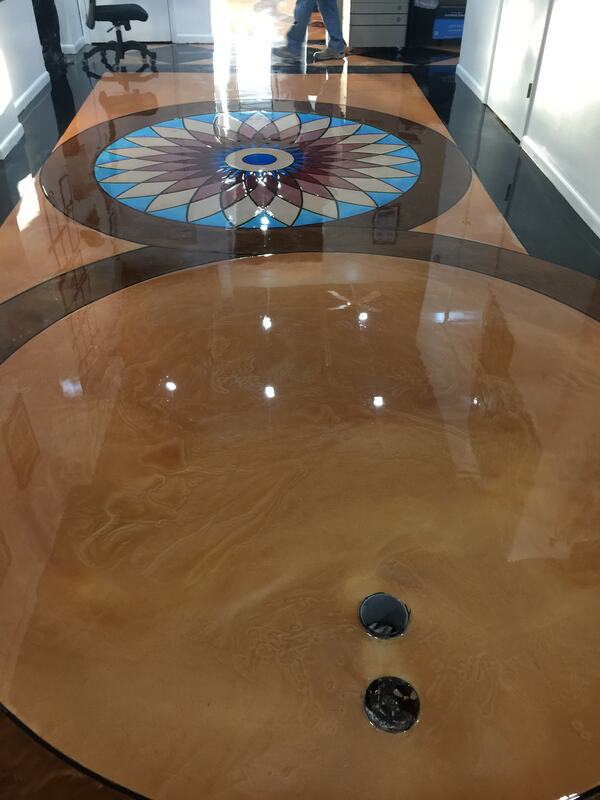 This epoxy floor required a myriad of metallic pigment colors for all the intricate designs: Copper, Butterscotch, Merlot, Mother-of-Pearl, Surfs Up, Rose, Maui and Jet Black. 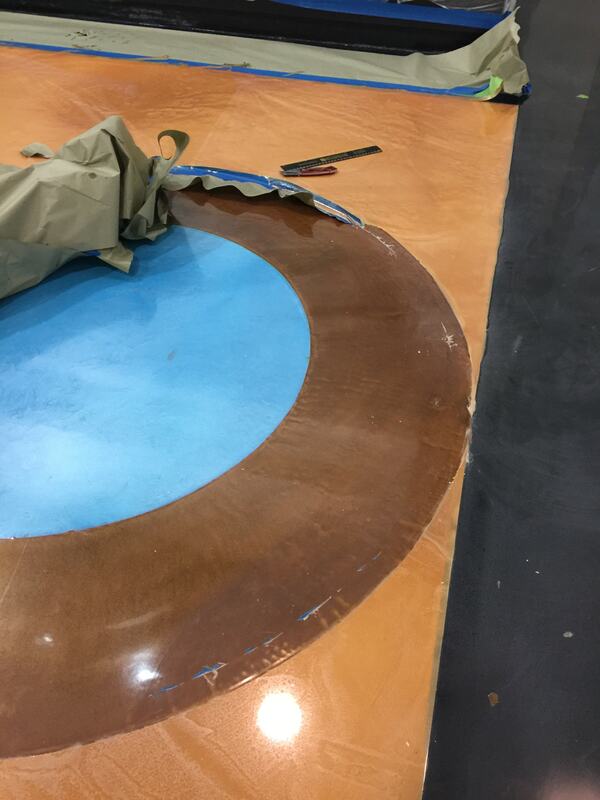 After putting down the metallics, they used a regular blade and v-blade to re-cut the saw-cut designs. 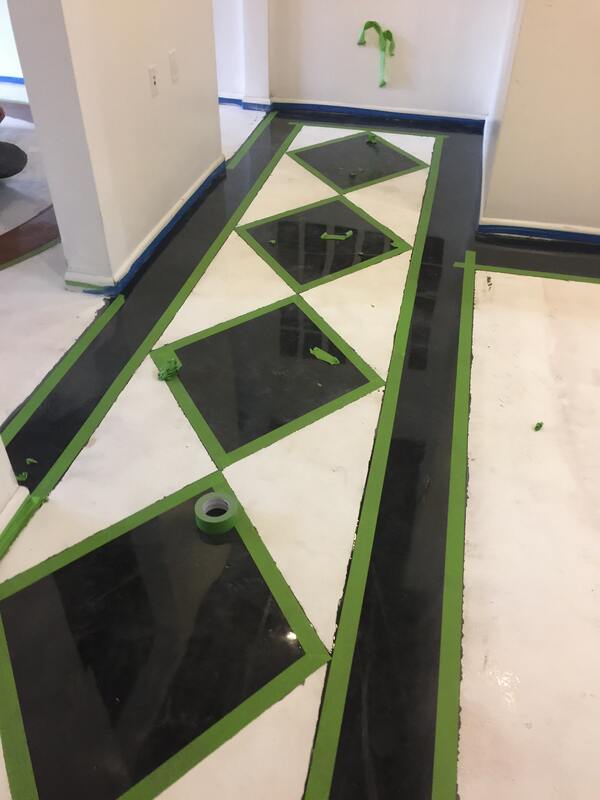 Then they filled the cuts with black grout. 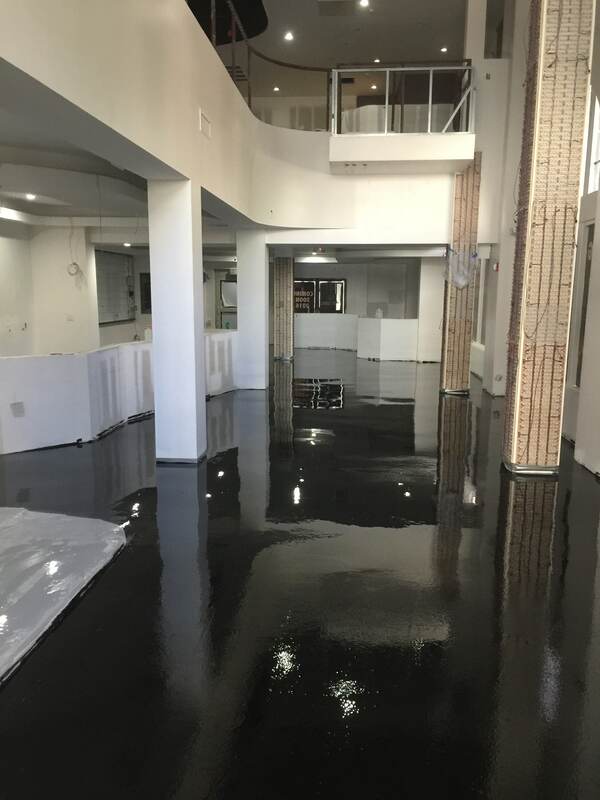 And finally, they re-sanded the floor and put down 2 clear coats of epoxy. 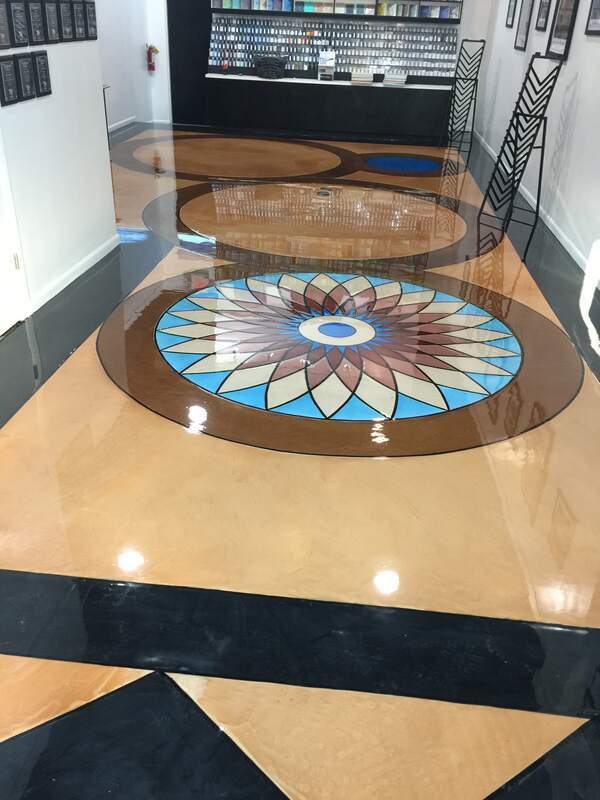 Artistic Surfaces was founded in 1989 by Harvey Namm after 25 years’ experience in flooring. 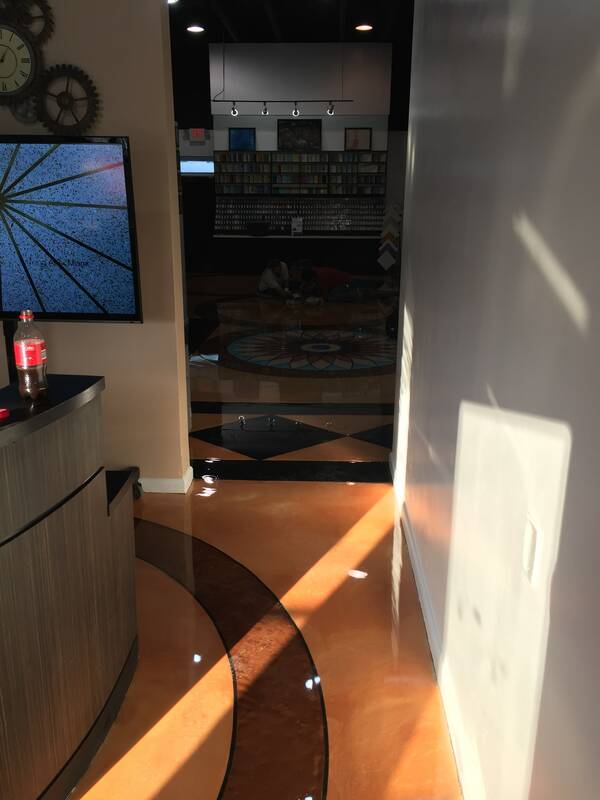 The Company soon became an award winning flooring contractor in the Florida market installing flooring in stores like; Macy’s, Bloomingdales, Burdines, and Saks 5th Avenue. 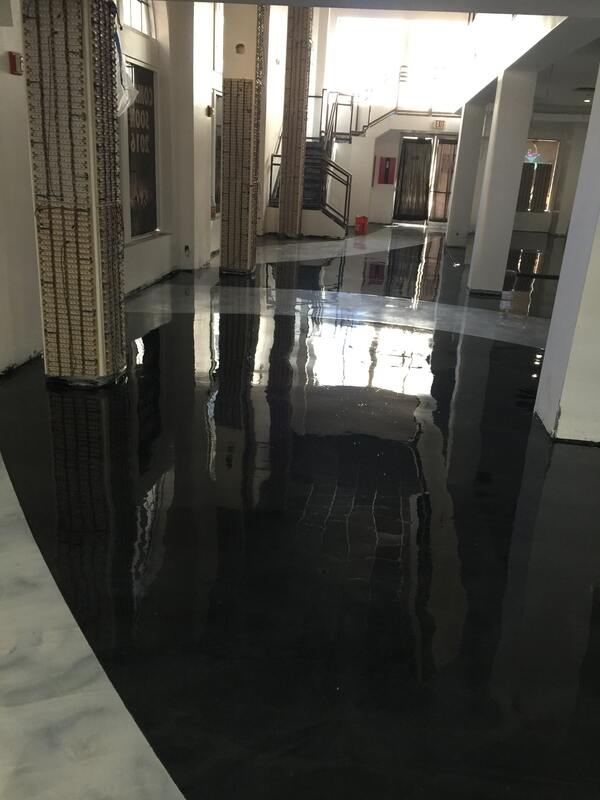 Luxury hotels, Art Galleries, Airport Terminals, Performing Arts Centers, Sporting Arenas and other venues were added as the years passed. 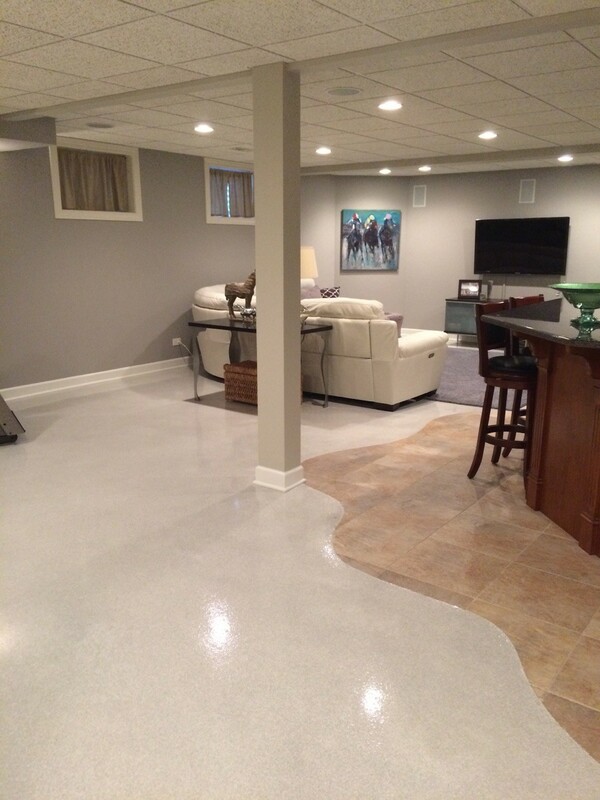 In the winter of 2009, Artistic Surfaces launched a new division for decorative concrete. 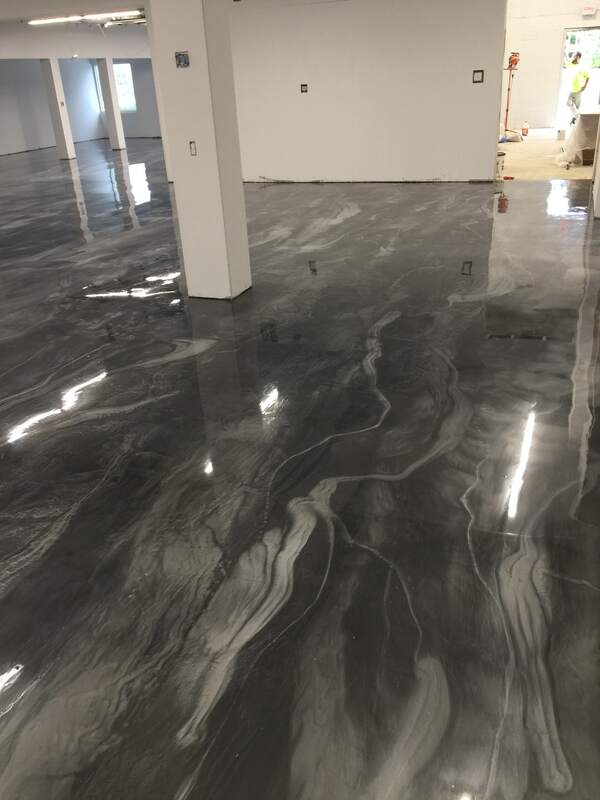 This new division will capitalize on the emerging demand for interior and exterior decorative concrete flooring. 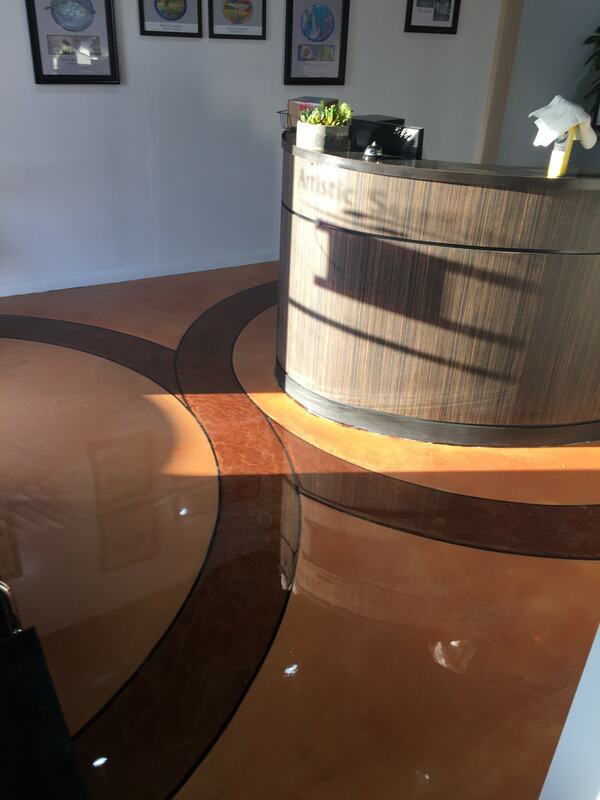 This new division marked the company’s entry as the area’s most experienced design applicators for decorative concrete concepts. 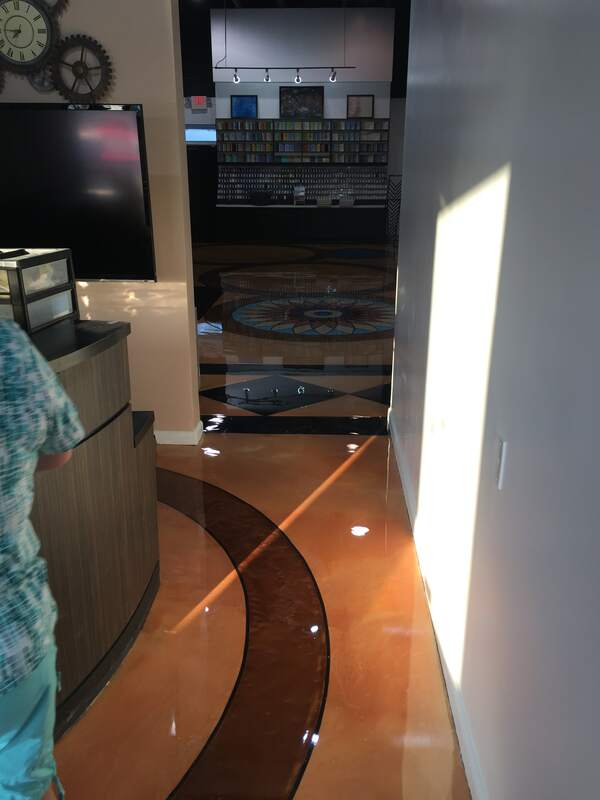 *All photos and information courtesy of Sam Godbey – Director of Operations at Artistic Surfaces. 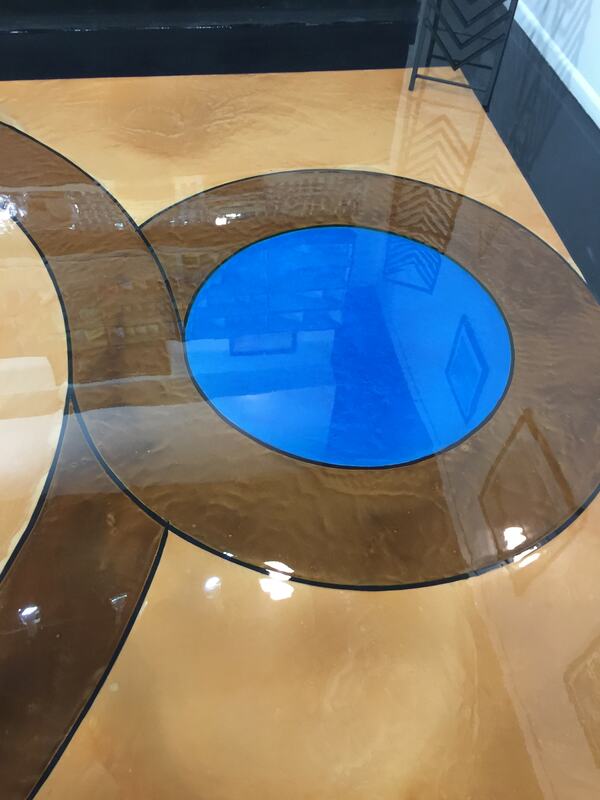 Reach him at SamG@artisticsurfaces.com.